The homestead Hembygdsgård Lunnabacken is located on the hill Lunnabacken south of the lake Åsnen near the village Ugglekull, about 16 kilometers northwest of Tingsryd. The hill Lunnabacken offers a really impressive view over the lake. It was a cult place in the pagan period and later became a meeting place for the residents of the surrounding area. 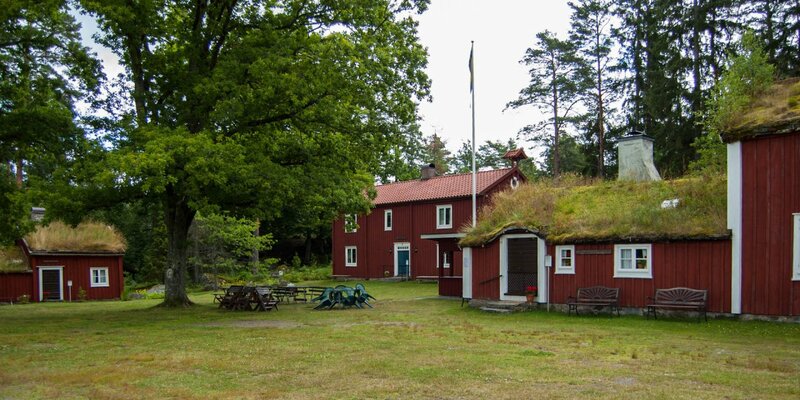 The construction of the homestead Lunnabacken began in 1947 with the Loftstugan, a building with a low living area and a sleeping chamber under the roof. 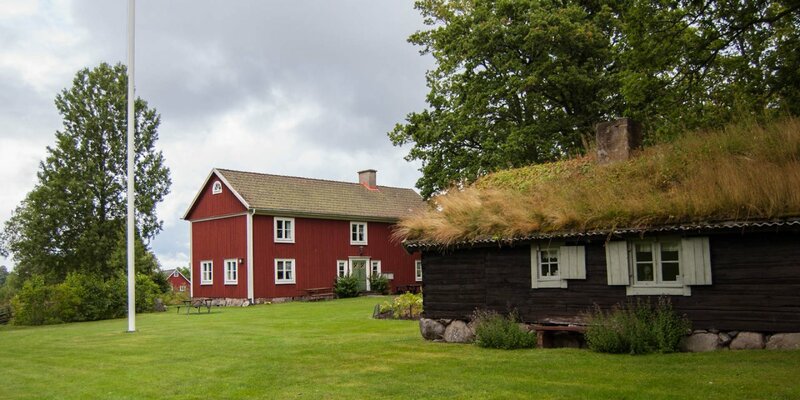 In the course of the decades, three more buildings were added – the large barn was the first in August 1985, originally from the 18th century an previously located in Väckelsång. The large building on the head side is the typical main house of a farm. Like the storehouse it dates from the year 1709. 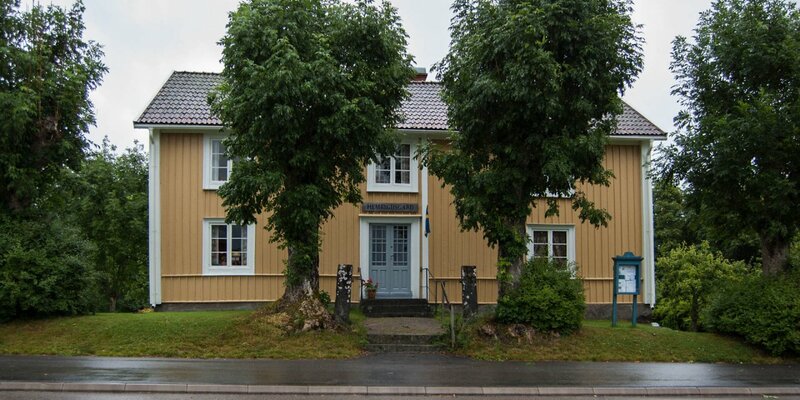 They are the oldest existing buildings in the parish Urshult and stood on the estate Odensvallahult until 1956. 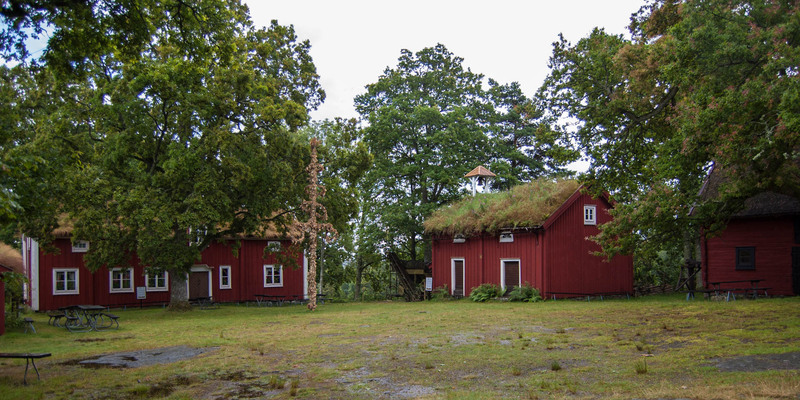 Except for the large barn, which is covered with straw, the roofs of the three other buildings are greened in a classical and typical way. In the warehouse and the barn you can find some old agricultural equipment and machinery. During the summer months, the homestead, which is part of the nature reserve Lunnabacken, is the venue for various events such as concerts, a handicraft market and the traditional Midsummer celebration.